#1 Honestly, I find all the hype bewildering. The book is entertaining but certainly not the “best book I ever read” which is what I keep reading from other reviewers. It makes one wonder what these people have been reading all these years…the funnies perhaps? #2 It’s destined to be a classic of children’s literature. #1 What generosity the filmmakers had. What ingenuity to create this entire world that is colorful and beautiful and scary. What depth of character they created. What messages they send. This is a movie constructed with loving care. … I wonder if they saw how brilliantly they were tapping our frustrations and our excitement, our dreams, our need and our sense of wonderment. I wonder if they knew that their heart’s desires weren’t that far from our own. #2 I can categorically state this film is terrible. Yes, it is like a dream, a forgettable one and as a fantasy more like a bad nightmare. There is nothing ‘heart warming’ about it. Even popular and much loved stories like Harry Potter and the Sorcerer’s Stone and The Wizard of Oz have varied critical responses. When searching for a book to read or a movie/play to see, I only read the positive reviews. I don’t want the negative to overshadow my enjoyment. Eventually I may not like it either, but let me form my own opinion after I take the time to experience someone’s work. On the other side of the curtain if you do anything creative like writing, acting, or performing on stage, even those who work in a job with a constant public eye (teaching for one)— be happy with the good critiques and don’t bother reacting to the bad. It’s too late to change your “performance” anyway, and as the old adage says, “You can’t please everyone.” Be your best own self-critic and listen to those who have suggestions for making your next project even better. Most of all enjoy what you do. This entry was posted in Critiques, Reviews and tagged Reacting to reviews. Bookmark the permalink. Interesting. I actually mostly read the negative comments – after looking at the percentages of each level. I want to know if there are things that are a hot button to me, that will make it difficult for me to complete – OR, sometimes more importantly, something that won’t help with the writing I’m in the middle of. The positive comments are often from friends or less critical readers. I do read some positive comments to get a better gist of the story if the negative comments aren’t detailed. But I’ll skim the gushing for sure! Thanks for your comment, Marlene. I do take notice when more than one reviewer makes the same observation of something that bothered them about the writing or plot. I feel the same way. 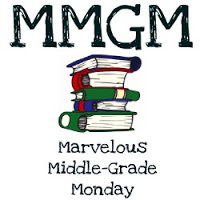 I only feature about 75% of the MG books I read on this blog. The others I never connected with either the characters or plot and my preference is to not bash them.